Preface: You may ask “What’s with all the name drops” in this post? Well, these are all people I would suggest you follow on twitter. Think of this is an elongated #FF. I have linked to their twitter feeds, I’d recommend following everyone above for great technical insights and information. For starters this year, April 1st marked my first year anniversary at SimpliVity. It also marked the start of the second quarter and the end of the first full year of GA release for us. Much has been learned by yours truly in seeing what it takes to bring a product to market, recruit partners and customers, create collateral, cover a massive territory, and evangelize around a product that disrupts pretty much the entire data center stack. Good times. April this year was also a 3-fer when it came to VMUG End User Conferences. 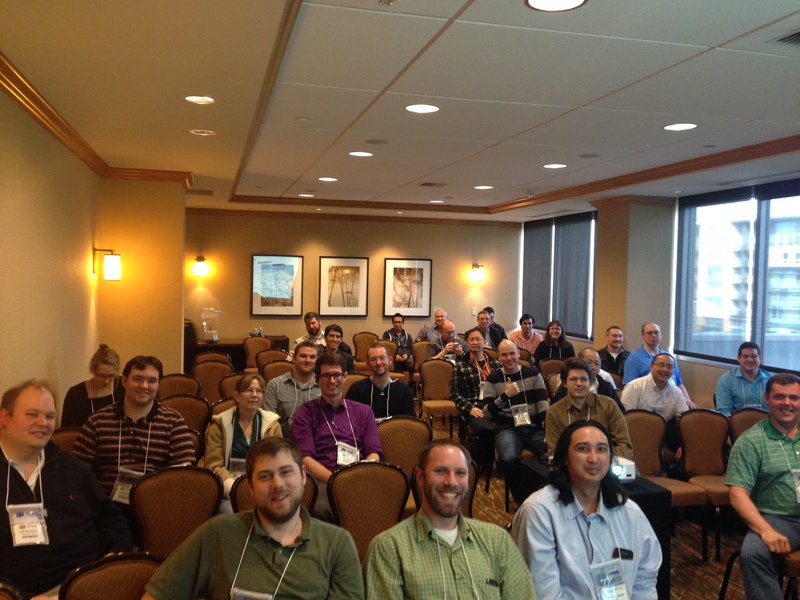 April 1st marked Seattle VMUG, where I was joined by many tech friends. Chris Wahl, Jason Langer, Damian Karlson, Peter Chang, GS Khalsa, Brian Graf, and Justin King. It also marked a VMUG event where I had a break out session to speak at. To be fully honest, if I could do break out session presentations every day of the year I would. They are possibly my favorite thing to do in the evangelical space. This is odd for me because up until a year ago, I’d never presented to a group of more than say 5 people in a room. Now I’m fully jazzed to present, and it doesn’t matter if it’s one or one thousand people. Seattle’s session was fun, first it was a good sized crowd, people were engaged, good Q&A and I felt that the presentation had the right mix of this is what we do, this is why we do it, and this is who might be interested, along with some good humor. I like to make sessions interactive, light, and fun, but serious enough to get the big 3 covered. Interesting that last year I also presented at Seattle, and if I had to grade myself, last year was a C, this year was an A. After having done roughly 400+ meetings in the last year you tend to hone your message basics. I for one am constantly tweaking and changing the content, but the message still stays true. I also don’t really practice or rehearse any of my presentations either. I know to some this is a major no-no, I just find that If I speak organically that it comes across better, and I think that’s why this session felt pitch perfect for me. Each year I get a back to back VMUG event, the last two years its been San Diego and Silicon Valley. Frankly its fairly tough to get up, drive an hour down to San Diego at 5AM, then work the show all day and then race back up north to catch a flight to go up to SJC. It makes for two very long days (I know quit your bitching) I pretty much count San Diego as home turf. It’s the first place I lived in SoCal when I moved here in 1991. 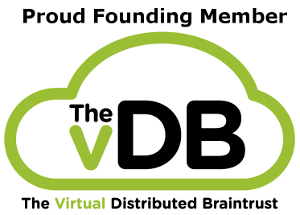 It was one of the first VMUG chapters I got involved with on a regular basis. The local team puts on a great quarterly event, and the annual EUC event is always a big affair. I’ve been going to it since around 2010. Interestingly enough I’ve seen many of the same people at the event year after year as well which makes it a great time to catch up and see how everyone is doing. This year, Rick Scherer from EMC asked me to be on the Meet the Experts Panel with himself, Vaughn Stewart from Pure Storage, and Dwayne Sinclair from the VMware NSX team. 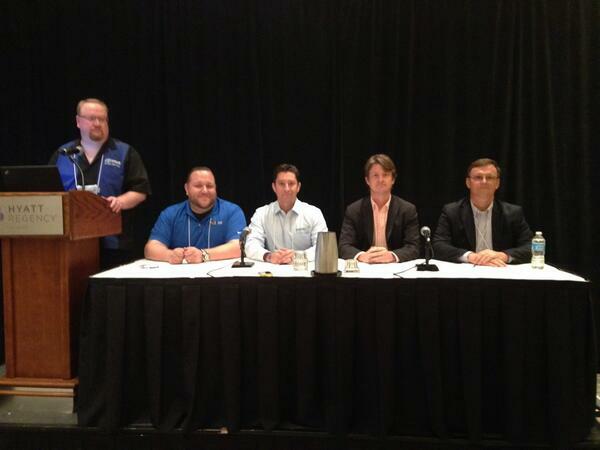 This was my first time as an “expert” panel speaker and I found the format to be a good experience. It’s always interesting to see the divergent viewpoints of different people and the vendors that they represent. VMUG Q&A sessions can be hit or miss sometimes. I still think there is some hesitation on the part of participants to stand up and ask a question in a room full of people. I know that Mike Laverick is working on a project to help with that called Feed Forward. I’ve thrown my hat in the ring to assist if I can. I think its a great idea to help grow the community, and bring forth more customer voices to be heard. Silicon Valley VMUG started off just right. First, I went to the Santa Clara Convention Center (where it was the year previous), only to find that it was at the San Jose Convention Center. I was not the only person to do this, as I saw several others who would make there way over to the proper location eventually. Fun Fact: you can make it from Santa Clara to San Jose in about 8 minutes in a Hyundai rental. 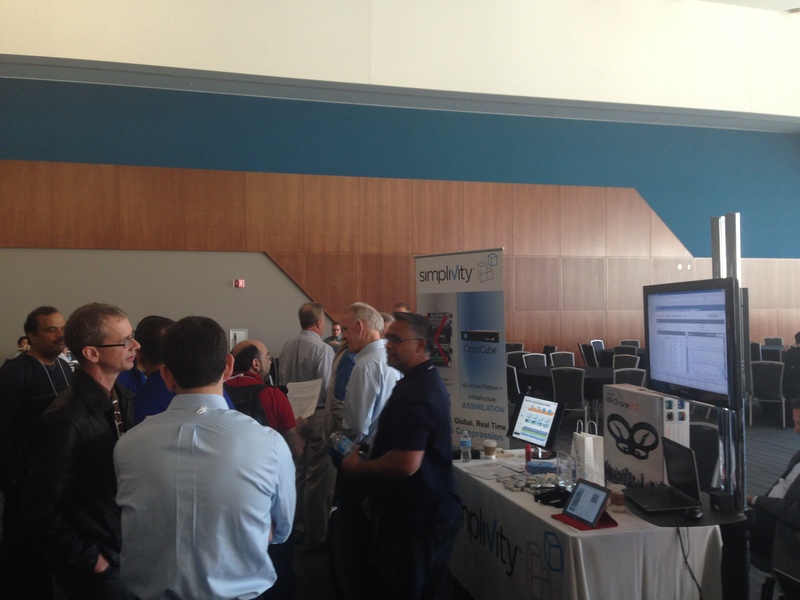 The #SVVMUG is a great event, primarily because there are simply so many community people at the event. There is something about being in the heart of the technology world, the long history of amazing invention, and the sheer amount of start-up-mojo that you will run into that gets a little intoxicating. I always enjoy spending time in the area, and the VMUG event is always a great one as the turn out is good sized. With VMware HQ just a few miles away, you will get a a good number of the core people who work on the VMware products on a daily basis showing up on the floor. Getting to bump into William Lam and John Troyer is always a treat, especially to hear what they are currently working on in person after having read about it over the year. This year the VMUG also coincided with Stephen Fosketts SDDC14, and Storage Field Day 5. So that meant that it was going to be chock full of community peeps. Post VMUG, I joined Aaron Delp, Sean Thulin, and Kyle Murley for a quick jaunt over to Menlo Park to hang with the Tech Field Day crew at Auto Vino. For the record, Stephen Foskett always picks the best places to host a Soiree. 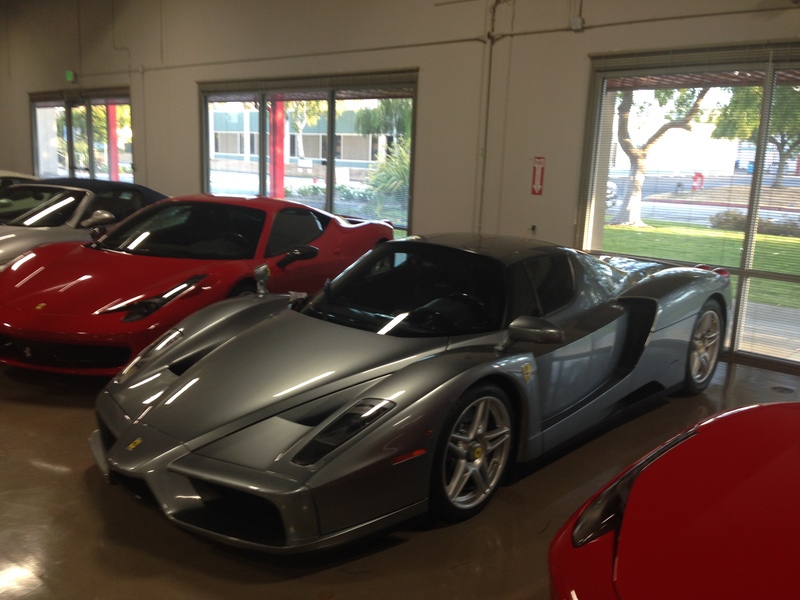 Auto Vino is essentially a winery that holds super cars. It’s like a play ground for rich super nerds. It’s not every day you get to walk through a garage with a half dozen super cars current and past. Also since this was the end of the first day of SFD5, lots of high level team members from the presenting companies were on hand to chat with. Poojan Kumar and Satyam Vaghani from Pernix Data. Jason Collier from Scale Computing, Dave Wright, from freshly GA’d Solid Fire. All on hand to chat with and talk shop. And lets not forget the delegates on hand, Lauren Malhoit, Ray Lucchesi, Howard Marks, Arjan Timmerman, Justin Warren, Bob Plankers, Phoummala Schmit, and Robert Novak. Just a great group of people who are all very passionate about technology and the tech space in general. Finally, a very special thanks to Caroline McCrory of GigaOM who was kind enough to drive me back to the VMUG late at night. So now you know why there has been a lack of blog activity this last month. With all the new vExperts blogs now part of the official blog roll, I’ll be resuming the vExpert Weekly Digests, on a still to be determined weekly, bi-weekly, or whenever I have time to post it schedule. Also, #SNLDD will resume again shortly as soon as I have a free Saturday Night. Oh and one last thing, I’ve got actual content you may want to read stuck in my head. Just looking to craft some messaging. Tips to upcoming blog posts: I don’t like the term SDDC, Major Tech Companies as Tribal Waring States, and Why try as we may want to, its going to be tough to destroy tech silos. P.S. I’ll be at Openstack Summit Mid-May which will be my first official OS event. I’ll be attempting to live blog that. So watch this space.